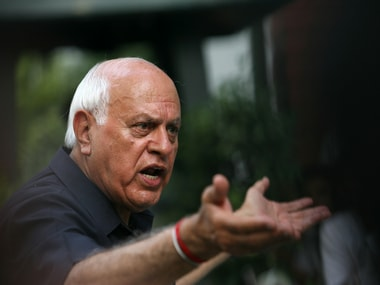 Jammu: Seven persons were injured when Pakistani troops shelled over 15 BOP and 29 hamlets with mortar bombs and fired heavily from automatic weapons overnight in R S Pura and Arnia Sectors along the International Border in Jammu district. "Seven persons including five women belonging to two families of Goparbasti village of R S Pura sector were injured overnight as Pakistan Rangers targeted civilian areas," the police said. BSF troops guarding the border line retaliated to the Pakistani firing. "After Pakistan Rangers used 82 mm mortar shells to target civil and Border Security Forces (BSF) facilities in RS Pura, the BSF retaliated effectively using same calibre weapons," police sources added. "There was heavy firing and mortar shelling on BoPs and villages along IB in R S Pura and Arnia sectors of Jammu district overnight and continued till this morning", a police officer said. 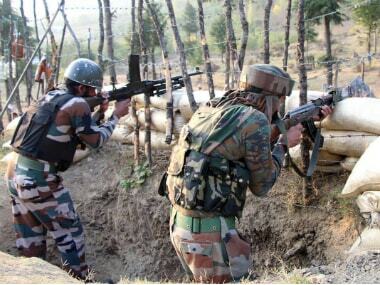 Pakistani troops pounded over 20 civilian hamlets along IB in Arnia and R S Pura in Jammu district overnight, he said. Over 15 BOP were also targeted. In the shelling, seven civilians were injured in Khopra Basti belt in R S Pura this morning, he said, adding the injured have been evacuated to a hospital for treatment. Pakistani posts started firing heavy mortars towards the Indian side at 2035 hours, a BSF officer said. "Heavy mortar shells were fired towards Arnia last night", Deputy Commissioner, Jammu, Simrandeep Singh said. 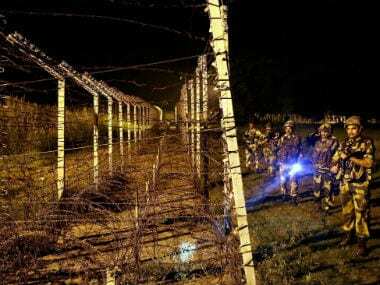 On Wednesday, an officer of the Border Security Force was injured when a shell fired by Pakistani Rangers exploded near him during in RS Pura sector along the International Border in Jammu. As many as 16 people, mostly women, have been injured in the cross-border firing in the RS Pura sector in the past two days. Assistant Sub Inspector of BSF A K Upadhyay was injured when a shell exploded near him in RS Pura sector. He received splinter injuries in his hand on Wednesday. Eight civilians were injured in shelling in R S Pura and Arnia on 25 October. Singh said the government has issued an advisory and all the educational institutions near the International border have been closed in the wake of the firing from across the border. People have been migrating to safer locations. "In the wake of the heavy firing, border residents are migrating to safer locations. Whenever there is lull, they leave their houses to shift to either safe camps or to their relatives' houses at safer locations", Singh said. A six-year-old boy and a BSF jawan were killed in the cross border shelling in RS Pura sector on 24 October. 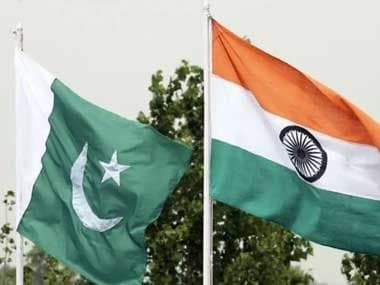 Over 55 ceasefire violations have taken place since the surgical strikes carried out by the Army on terror launch pads in PoK, in which four persons, including three security personnel, died and over 25 were injured.